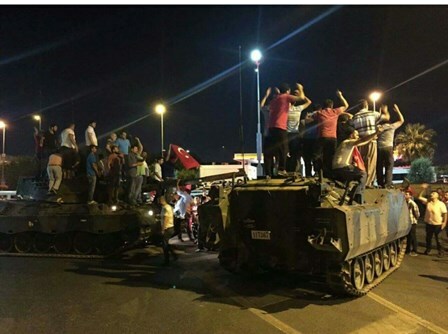 July 15: A brutal coup attempt took place in front of people at all ages in Turkey. However, this will be written in history as an honorable date of the resistance of the political authority, the media, the civil society and furthermost the individual citizens via courage and their sole lives - unarmed - against arms and tanks ever reckless, and bloody in the Republican history. The struggle for freedom in Turkey could be read along with the history of democracy. Individual citizens can very well observe through not only past but also through their personal experience the following cause: To preserve a legitimate civil authority and the democratic political arena against the bureaucratic institutions and anonymous power circles - in this country we all live in- denotes to claim our liberties, free trade, justice, and prosperity. In this respect to address this historical experience and related matters, Association for Liberal Thinking devoted 2016 Congress for Liberal Thought which is to be held on 22 - 23 October 2016 at Ankara Altinel Hotel. We would be delighted to elaborate all together the happenings before and after July 15, in and around Turkey, and what to do on the way to establish a pluralist democratic system. Participation to Congress is free and open for everyone. Please fill out the form below for registration.